In an interview Michael Gove commented on the Department for Education’s new curriculum guidelines. 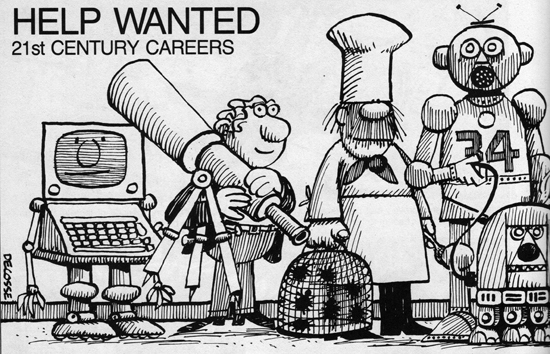 Speaking of future jobs, 30 years ago people predicted that technology would change the employment landscape, creating new jobs and new employment skills. With self-programming computers there would be no need for computer programmers instead training providers could be running employability courses in space piloting, genetic engineering and robot psychology!